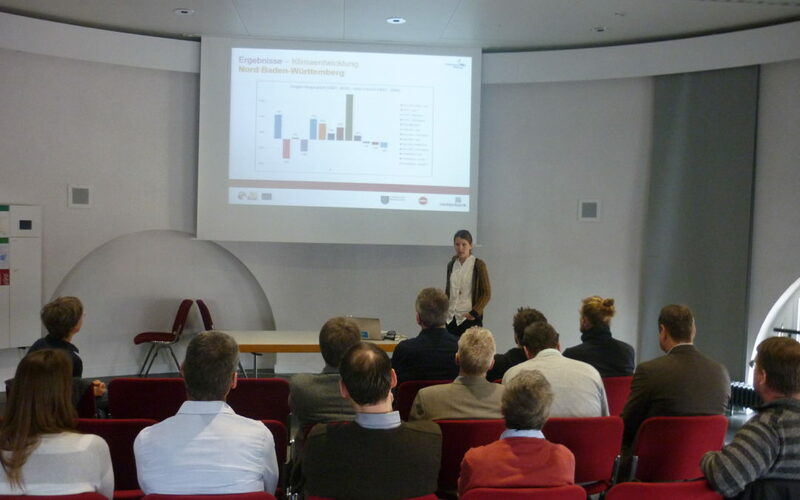 On the 8th of March 2018 an expert meeting took place in Stuttgart with national experts and stakeholders from Baden-Württemberg, organized by the Lake Constance Foundation. During this event the project AgriAdapt and its methodology were presented, as well as the first results of the data evaluation from the farm visits in regard to their vulnerability to climate change. The participants gave very positive feedback to the presentation and contributed with interesting comments to the further development of the project content.